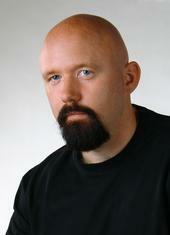 When you think about John Petrucci, what usually comes to mind? Is it his ‘shredder’ guitar style? His complex songwriting? Certainly these things are foundational to his guitar playing, however knowing about them will not make you a better player. On the other hand, there are several frequently overlooked elements of Petrucci’s style that ‘will’ help you become a much better guitarist once you learn and properly apply them into your playing. In addition to being an excellent lead guitar player, Petrucci has an uncanny ability to play tight, intricate rhythm guitar parts. In spite of this, most guitarists do not pay much attention to his rhythm playing because they do not perceive it to be as skillful as his lead guitar phrasing. Additionally, the majority of Petrucci’s music is written for odd meter while using complex songwriting techniques, playing in between beats and making tons of unexpected changes to note values. This makes it difficult to play even the easiest of Petrucci’s rhythm guitar licks with perfect timing. How Will This Make You A Better Guitar Player? 1. Check out Petrucci’s music with Dream Theater while focusing primarily on his rhythm guitar playing and how it works together with the percussion. This will give you a total understanding of just how good his rhythm playing really is (while changing your view of what it means to be a great rhythm player). 2. Find out how you can improve your rhythm guitar playing through practice using this free guide to recording guitar. Most fans of John Petrucci overlook the fact that he plays with great consistency during live shows. In addition to playing ‘highly complex’ music, Petrucci is also taking advantage of a highly developed skill set that gives him the ability to play excellent live shows. Fact is, playing live is totally different than playing at home or in the studio. Most musicians who are not used to the pressure of playing in live settings will struggle to perform well even if they are great at recording in the studio (or playing while alone in their room). Playing live presents challenges such as low lighting levels, playing when you can’t hear yourself, playing without much sleep, playing while being tired and covered in sweat plus a wide variety of other issues. It takes a real master guitarist to consistently perform his music as accurately as possible under these circumstances. You must understand that performing is another thing you should be practicing in addition to regular guitar/musical skills. To become a pro, you must practice performing in a way that will imitate the different challenges you could face on stage. Even if you don’t have dreams of touring internationally as a pro musician, you must still work on becoming a better performer in order to gain confidence in yourself while playing in front of others. Read this article to learn how to overcome stage fright as a guitarist. After listening closely to the solos above, you will clearly hear both a start and end to each phrase. Additionally, you will notice how each time a phrase is played, it sounds like a natural progression from the one that was played prior. This has the powerful effect of moving the music forward and taking the listener on a journey. Petrucci creates his phrases in a way that is similar to the approach used by Yngwie Malmsteen. Although both players do not have a similar ‘style’, they both create guitar solos that smoothly connect from one phrase to the next. This helps them be much more creative in their respective genres/styles. Learn more about Malmsteen’s style by reading this Yngwie Malmsteen metal guitar lesson article. This soloing approach used by Petrucci is entirely different from the one used by the majority of guitar players. In most cases, guitar players simply play through the notes of the scales they have memorized without trying to build distinct phrases. This causes their guitar solos to sound ‘random’ and does not provide a smooth sense of progression for the listener. 1. Thinking of distinguishable phrases that feel like clear musical statements. Learn more about how this is done by reading this lead guitar soloing article. 2. Developing a fundamental melodic idea that will be expanded upon using various guitar techniques. Watch a demonstration of this by checking out this video on how to create guitar solos. Previously I wrote a 7 string guitar playing article where I identified a major mistake made by most guitarists who play 7 string guitar: focusing too much on the lowest string, making their playing boring and repetitive. John Petrucci does not make this same mental error. Instead he uses the expanded range of the instrument much like how a piano player takes advantage of the wide range of the piano. A great pianist will not remain in just one octave range throughout an entire song. He will utilize the entire range of his instrument to give himself the potential to achieve the highest degree of creativity possible. In Petrucci’s band Dream Theater, he writes music using a wide variety of different styles. This is made possible by Petrucci’s ability to write not just for guitar, but also for all other instruments used in the band’s songs. Being able to do this (while writing very complex music) requires complete mastery of different songwriting approaches instead of simply writing using the same approach every time. Although Petrucci is a guitarist, his songs are not written ‘only’ from a guitar player’s perspective. In many cases, his music is written based on the specific playing styles of percussion, keyboards and bass with guitar playing a minor role in the composition as a whole. On the other hand, most guitarists will write music by simply improvising on guitar until something sounds good and then try to find some makeshift way of connecting their ideas together to produce a complete song. If this is your main approach, your songs will generally sound very similar to the music everyone else writes. Certainly writing in this kind of improvised manner ‘can’ be a useful way to approach songwriting, however, it is very limiting for your creativity when it is your only option. 1. Use a variety of songwriting techniques so that you are never constrained to just one method for writing music. Check out this article series on how to become a better songwriter to learn more. 2. Learn how to become a more creative musician by reading this article about increasing musical creativity. 1. Take the time to listen to Petrucci’s music in Dream Theater (even if you don’t usually listen to them). Focus on all the different areas I have discussed in this article so you can identify them clearly. Even if you don’t end up enjoying the music after listening to it at a deeper level, it is still important that you do this. Listening to music in this way will help you understand what makes some guitarists truly great. 2. Observe your own guitar playing to see what needs to be improved. 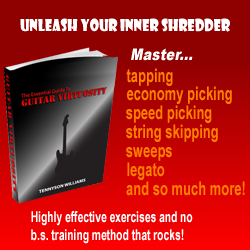 Understand that all the skills I’ve talked about can be applied to anyone who plays guitar and you will become a much better guitarist once you have mastered them. 3. Use the resources throughout this article to strengthen the weak areas in your playing. Once you do these three things on a consistent basis, you will make progress on guitar at an accelerated rate (much faster than any casual Petrucci fan who is unaware of the topics in this article). Tom Hess is a successful professional guitar player, composer and guitar teacher. With his online guitar lessons, he has helped guitarists worldwide improve their guitar skills. To improve your guitar skills go to his website about guitar instruction and see guitar playing video lessons, read guitar practice advice, and check out a free guitar soloing lesson.